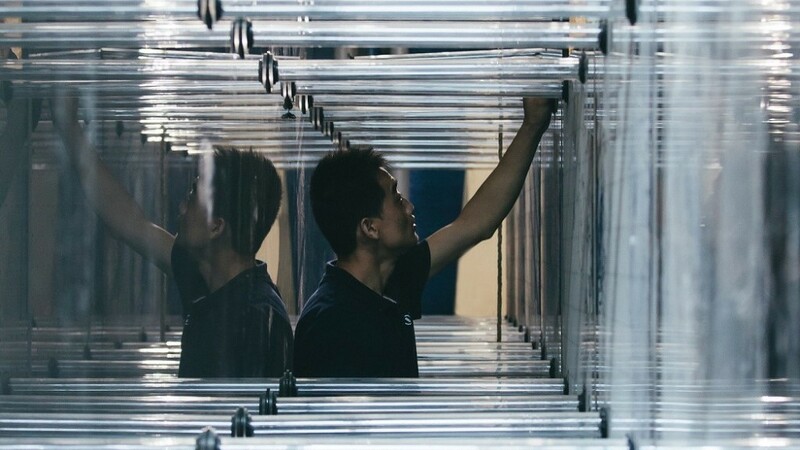 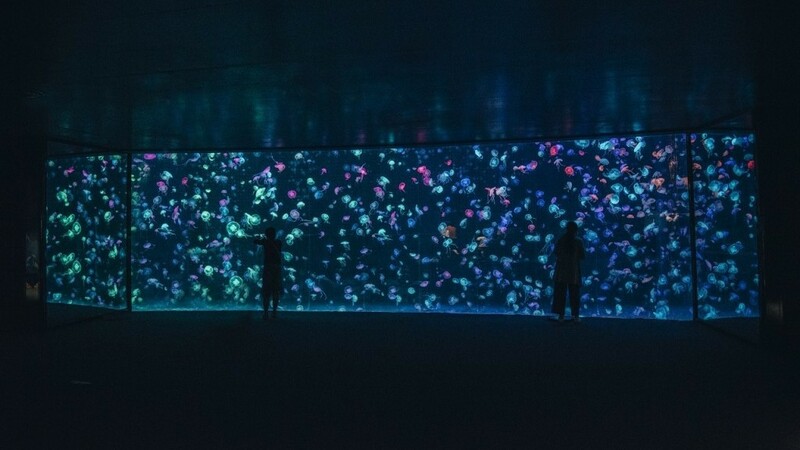 In 2016, Ocean Builder built the World’s Largest Jellyfish Aquarium for Chimelong Ocean Kingdom. 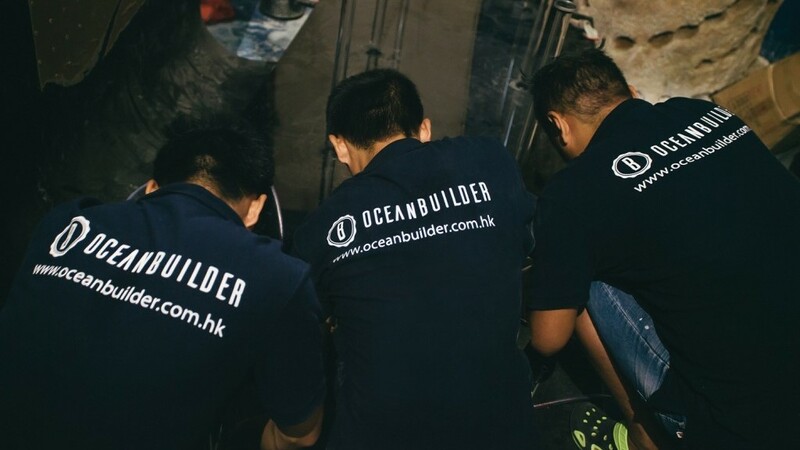 Ocean Builder provided turnkey solution for this project, managing concept ideation, schematic design, lighting and Life Support System design, engineering; construction and installation, on-site supervision to commissioning. 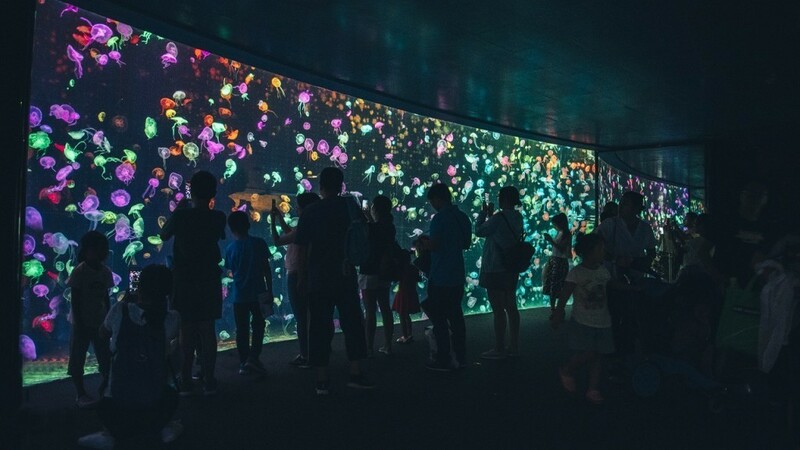 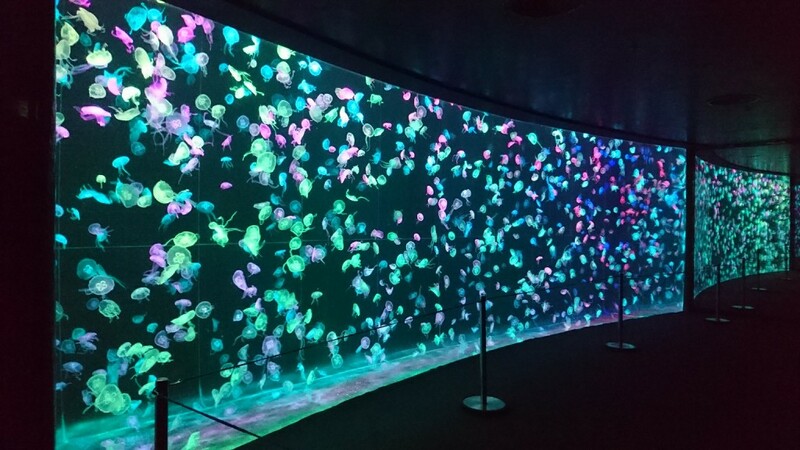 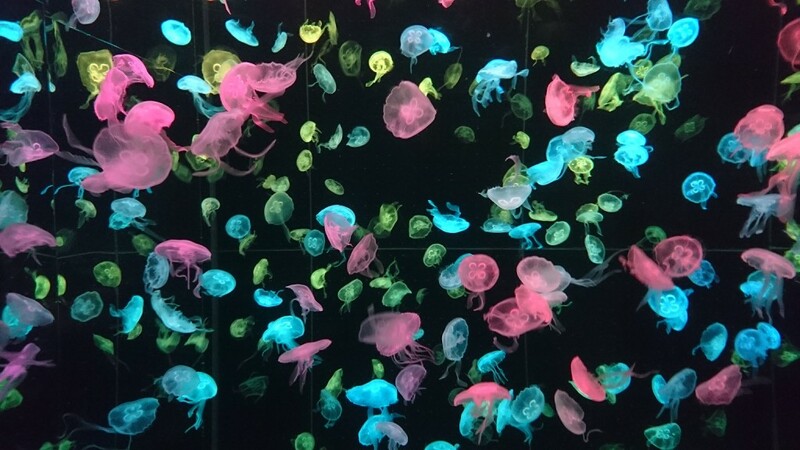 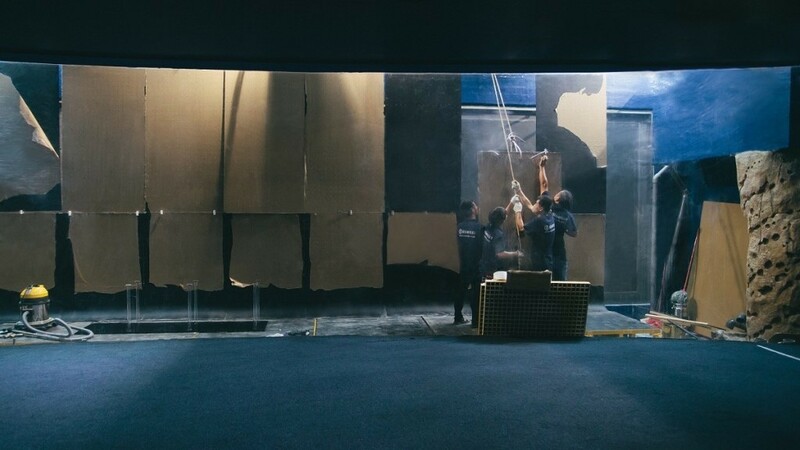 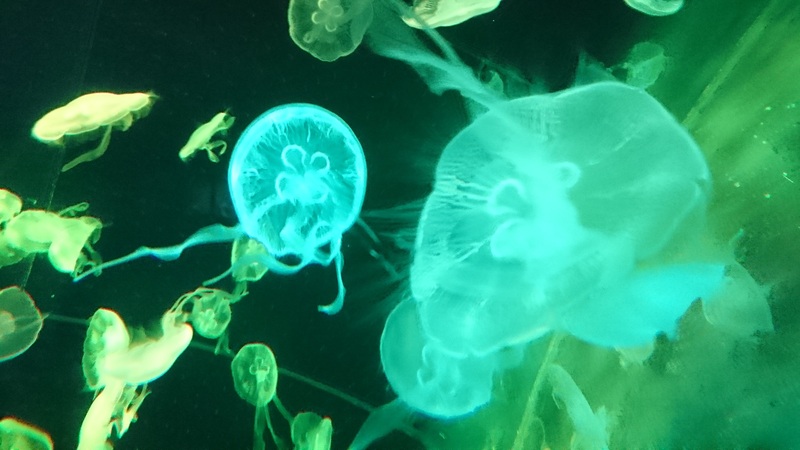 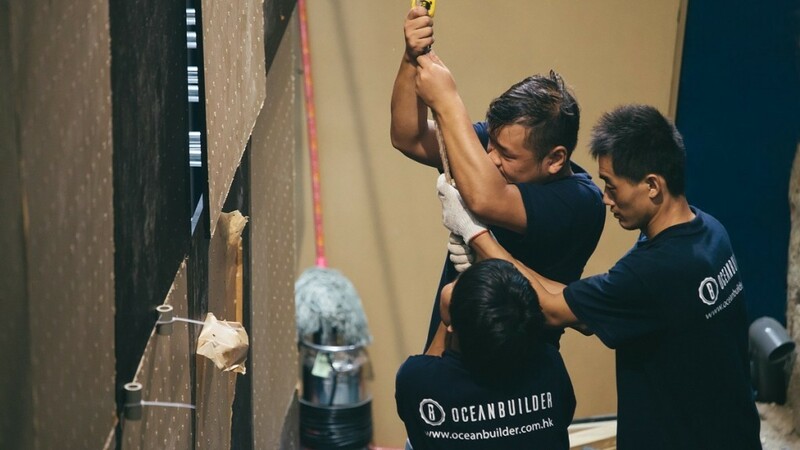 Ocean Builder installed DMX（Digital Multipiex）Lighting Control System to illuminate the giant aquarium, integrating music with water and jellyfishes. 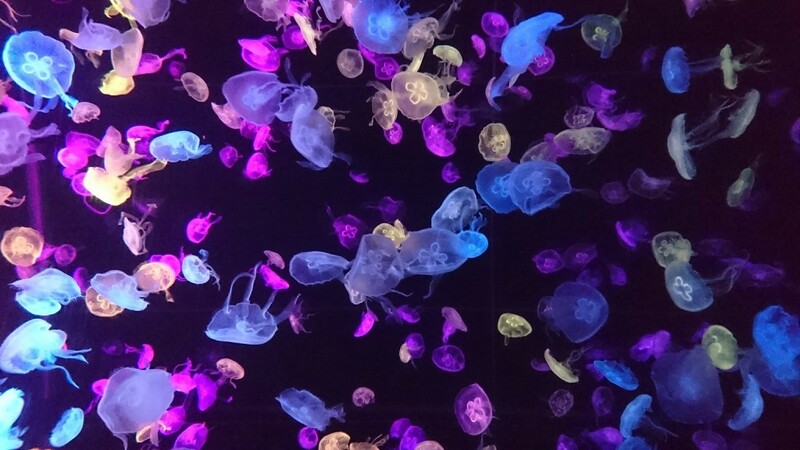 While Aurelia aurita ( Moon Jellyfish) is translucent, varying lights put colorful dresses on these sea fairies. 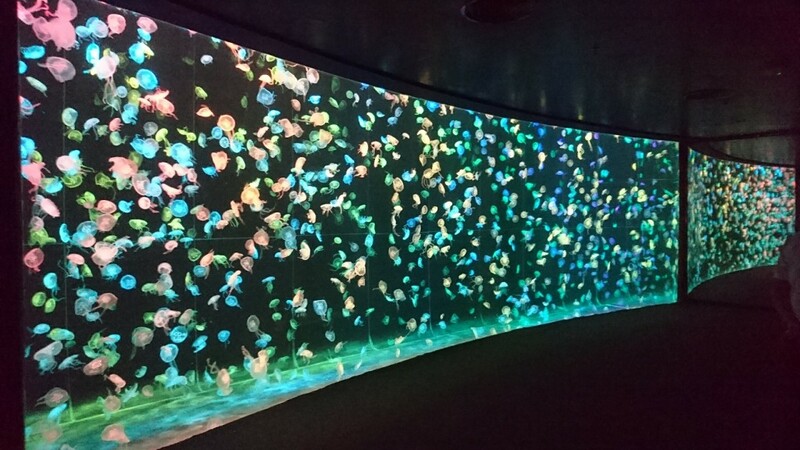 With graceful background music, it provides visitors wonderful experience like dancing with fairies undersea. The display window of this jellyfish aquarium is 12 m long and 4 m deep with a middle width of 2.5 m and side of 3.5 m. Water capacity is 136 tons. 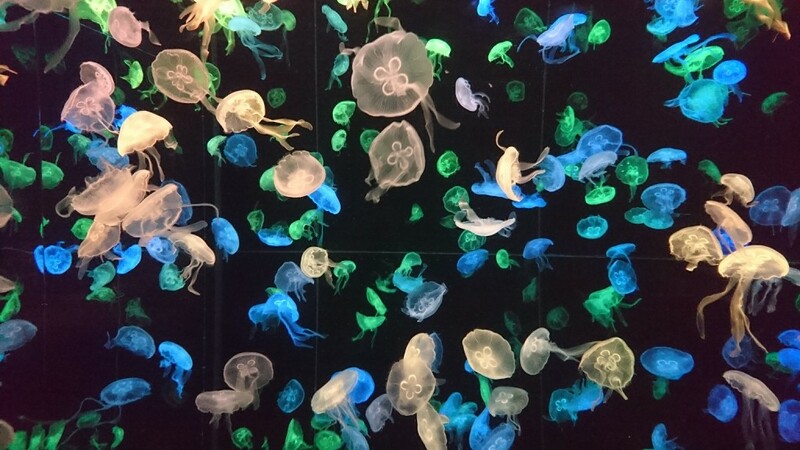 And the tank accommodates about 3,000 Aurelia aurita, which is the World’s Largest Jellyfish Aquarium at the time, while Chimelong Ocean Kingdom holds 5 Guinness World Records.